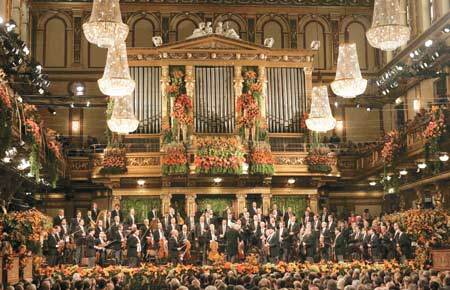 My musically educated convives from the lavish New Year's Eve party scoffed as we tuned into the annual Neujahreskonzert, broadcast live from Vienna during our late breakfast on the first day of 2012. I will admit that the galantry, the exuberance and the rather simplistic waltz tunes may be closer to André Rieu than to the lofty heights of sophisticated classical music. But to the layman typing these lines, there is something soothing and comforting about the Blue Danube and the Radetzky-Marsch with a glass of champagne on January 1st. For as long as I can remember, this is how every new year has started. Amidst the change all around us (voluntary and involuntary), it is through rituals like this that we strive to retain our balance and bearings. For the commercially secular majority of us, it is arguably the repetitive and reassuring qualities of the holidays that appeal most, and not some obscure religious significance. We could bake cookies any time of the year, light candles all through a long Canadian winter, give gifts on any number of occasions and, really, do without party bombs altogether. And yet, over the past two weeks in Switzerland, I indulged in most everything of the above. Every year, I tell myself that a deviation from the routine would be nice. And every year, as the family gathers around the Christmas tree and the ever-same videotape (make that a DVD if you're < 20) of drinks, gifts, tree and food starts playing, I cuddle up like with one of these really nice Hudson Bay blankets that I so long to get (hint! hint!). Coming home from overseas, the sensation of familiarity and predictability is a wonderful relaxant.